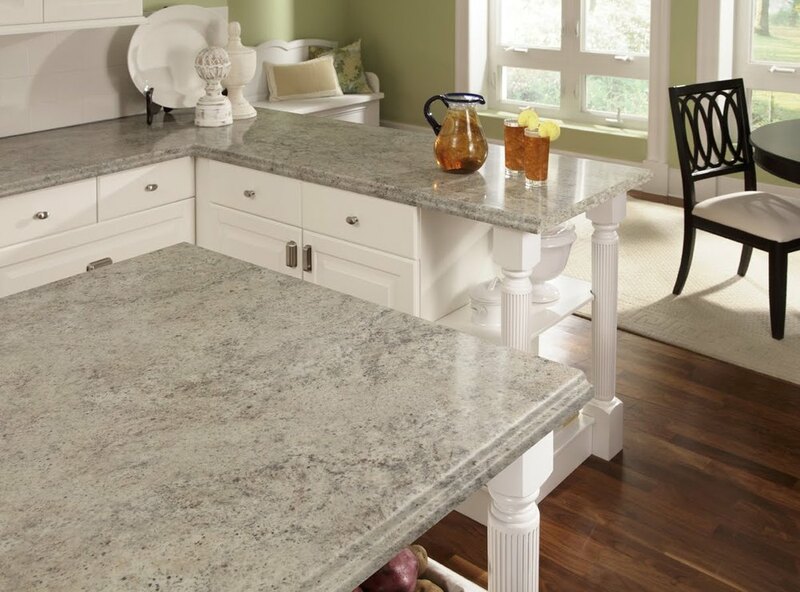 We sell laminate countertops that are custom-sized to fit the layout of your kitchen at Knox Rail Salvage! Savings, Service and Selection define our Business. 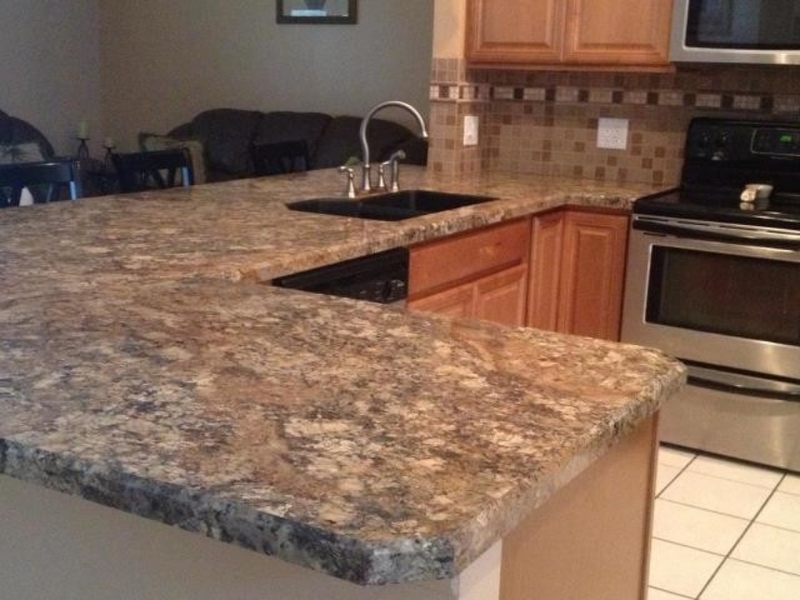 We sell laminate countertops that are custom-sized to fit the layout of your kitchen at our 200 E. Magnolia location. These 1st quality laminate counertops by Wilson Art and Formica corporation represent the latest colors, finishes and edging on the market today. Standard colors with basic waterfall profiles are usually available in 3 to 5 business days while non-stock colors with fancy edging profiles are usually available in 14 to 21 business days. A kitchen cabinet specialist will help you get your measurements correct. $17/foot on standard colors with the standard waterfall edge. We sell the most popular colors of first quality laminate tops at our 400 E. Jackson Avenue location. These tops are in stock and ready to be installed today so if you are ready for new counter tops without the wait this is the perfect solution. These counter tops and bar tops come with end caps and pre mitered corners to simplify installation for the do it yourself. In most kitchens, these tops usually only require a straight cut by the homeowner or contractor to fit the layout of the kitchen. Save up to 50% on these in stock colors when compared to our special order program. Prices start at $7.95 per foot on some closeout colors. 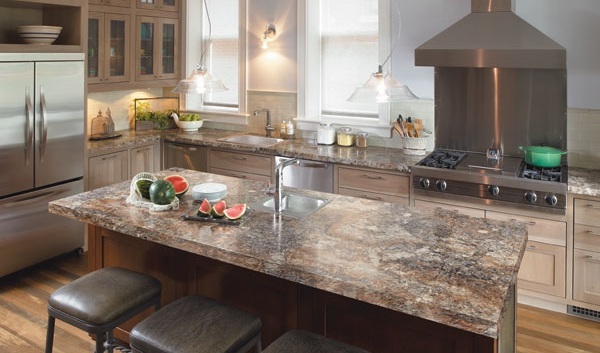 Click here for prices on kitchen and bar tops! Click here for in-stock colors and profiles for the fastest turnaround!